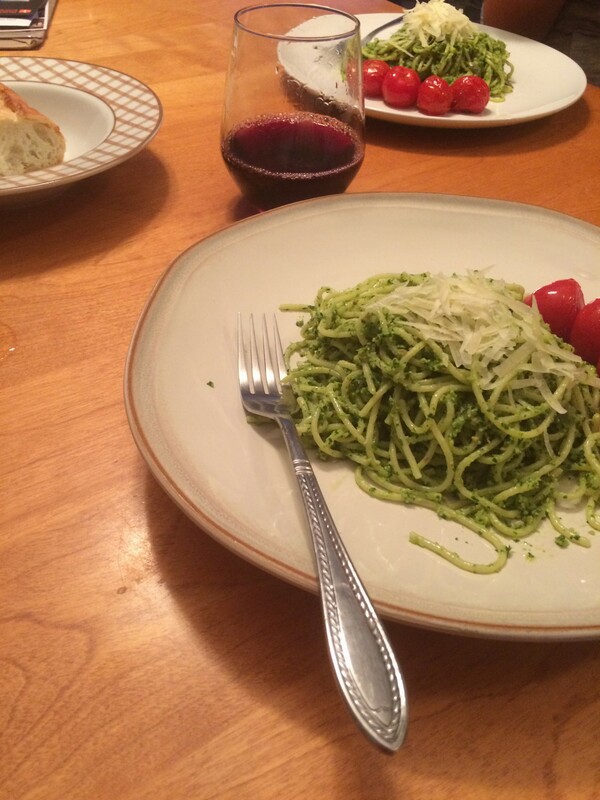 Pesto is my favourite dinner go-to. Last night my friend and I whipped this up. It’s so easy, healthy and I think it looks really pretty too! 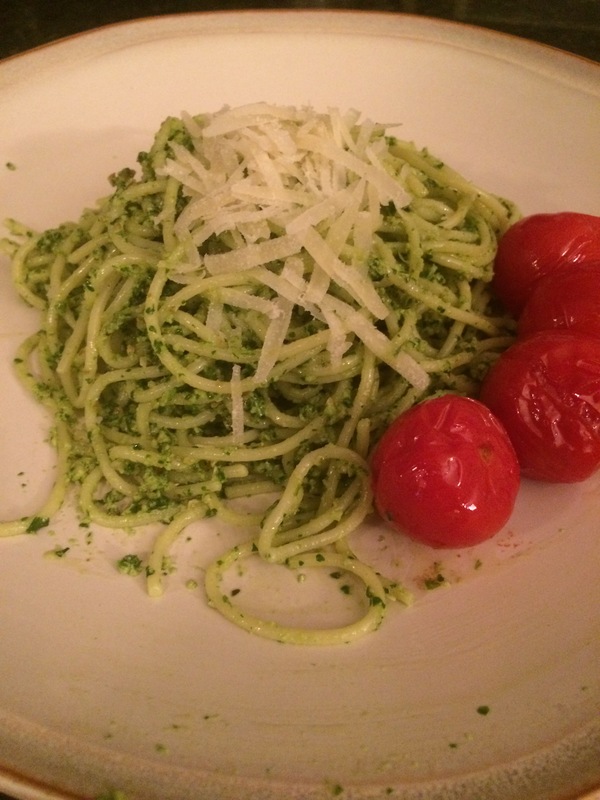 I used this recipe except I swapped the kale for spinach and parsley and included some hemp seeds. Mixed the pesto into the pot of warm pasta noodes, whatever type of noodles you prefer. Topped with some parmesano romano, hemp seeds, raw pumpkin seeds and sautéed grape tomatoes on the side. The wine is Castilla Tempranillo – Domino De Punctum Lobetia – organic (Spain). A smooth and a not too full bodied red with sweet notes from red berries, it paired nicely with the parsley flavour in the pasta. This recipe is fast, easy and can be used on sandwiches, as a dip and it can be frozen for future uses. Enjoy!